The Washington Wizards are one of the worst team right now in the NBA and the second worst team in the weak Eastern Conference right now. They played awful and the chemistry is a mess. The players look like unhappy and the team work is not there. There are rumors that the players are not in good terms on and off the court. We thought that adding Dwight Howard would be great but it makes the situation even worst in Washington. Also matching the offer sheet for Otto Porter Jr. was a bad decision for the Wizards in my opinion. Kelly Oubre Jr. produces the same numbers Otto has given the Wizards. The massive deal that porter Jr. got was a steal as he wasn’t able to live up to the expectations. As of now, Bradley Beal is I think the most valuable piece for Washington. I think they will choose Beal over Wall if things don’t go well. Now let’s take a look at the best possible trade destinations for John Wall. The Spurs are now looking for a star point guard after the departure of Tony Parker and the injury of Murray. The Spurs has Patty Mills at the point guard position right now but he is not a true point guard. I think Patty is more of a shooting guard. So, the Spurs should make a run for John Wall now that Wall is losing in Washington and he may be frustrated about his situation there. He might force a trade soon and the Spurs should join the John Wall sweepstakes. The problem here is the trade pieces. The Spurs don’t have any asset other than LaMarcus Aldridge and Rudy Gay because I am sure that they will not give up DeRozan who is now the cornerstone of the Spurs franchise. LeBron is now leading the young Los Angeles Lakers team and he is now bringing them again to contention. But in the stacked Western Conference he might need another star to help and support him there. Rondo is a proven veteran but he’s past his prime and Lonzo Ball is very young to help LeBron. Lonzo also don’t know how to score the basketball. He’s just good and defense and dishing the ball. If the Lakers acquire John Wall, it would be a nice one-two punch again like what LeBron and Kyrie did in Cleveland. Wall is better in defense than any other guards LeBron has played together. The Lakers will need to give up Brandon Ingram to pull this trade and some other pieces to meet the money involve. The Suns are not going into the right direction as of now. Even though they got their hands on a prolific prospect DeAndre Ayton, that is still not enough to make it to the playoffs. Devin Booker is a great player but he’s too young to lead a team especially in the West. Having a guy like John Wall can change Phoenix’s direction. 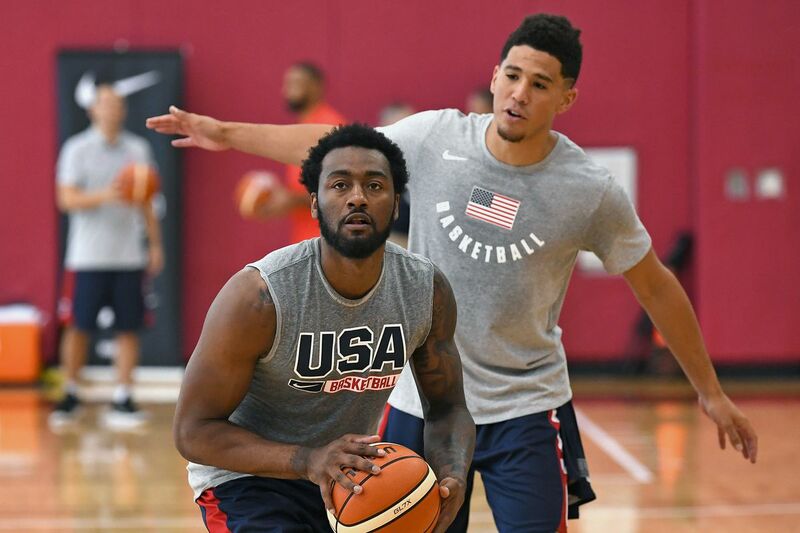 John Wall can turn the world around for the Phoenix Suns and they can create a new Big 3 of him, Booker and Ayton. Phoenix should give up on TJ Warren or Josh Jackson, Dragan Bender, and some draft picks and role players to pull this trade off. It will be beneficial for both teams if this trade happens. And in my opinion, this is the best place for John Wall to prove himself and create a new beginning in his career.